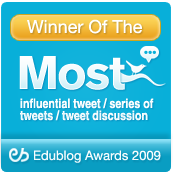 I have been writing in social media about education and changes in education for about a decade at this point in time. One of my observations, as I enter discussions with educators in various parts of the country, is that many educators bring up problems within their own districts that were discussed in detail and often resolved in many other districts a number of years ago. 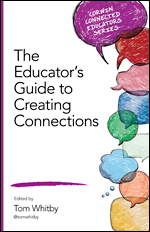 There are topics and ideas brought up that social media has introduced, discussed, and developed as influential game-changers that seem to be new topics to many educators. As professionals, educators need to be better informed of changes and trends within their own profession. This is not a passive effort. It requires educators to continually seek out and self-educate themselves on what is relevant in education. Providing this information does not seem to be a function of the school districts’ administrations, or unfortunately, many teacher preparation programs provided by colleges. There was a time in education when educators were given what they needed to teach, as well as what methods to use in order to do it. The influence of technology on society has changed that dynamic. Change comes faster than any other time in history making it more difficult to stay relevant. Social media however, has given voice to any individual willing to express it. Responses to change are most often discussed in Blog posts. Blogs are great indicators of how people respond to change, as well as possibly affecting a positive spin on those same changes. For the most part this has been a good thing, but there have been a number of setbacks along the way. The idea of having voice works best if those individuals expressing that voice have an in-depth knowledge about what they are voicing. Easy access to publish that voice complicates this. Unfortunately, in addition to knowledgeable bloggers, others have equal access in publishing their ideas. Any idiot can write a blog post, and almost every idiot does. 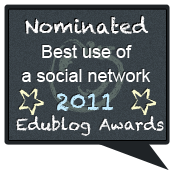 How do educators find blogs to read in the first place and secondly which blogs are of value? 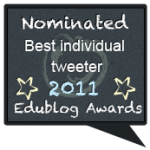 There are many bloggers out there who are currently educators. There are also many bloggers who have left the profession with a great deal of experience. 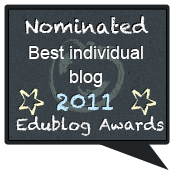 Education bloggers come from all areas of education. A good way to check the background of a blogger is to go to their “About Page” on their blog. Looking over past posts is also a good indication of who the blogger is and what he or she thinks. Once a good blogger is found, it is a great idea to follow the blog. Often the blogger will also be on Twitter, so following the blogger on Twitter as well is a good idea, because tweeting after all is micro-blogging. Finding blogs is fairly easy to do. Twitter offers an almost endless stream of links to blog posts making each post a click away. There is also FLIPBOARD, a free mobile application that can personalize preferences to provide blog posts in magazine form that addresses those interests. Again, provided summaries of each post is a click away from the complete work. 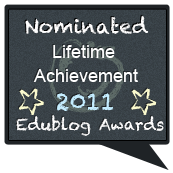 ASCDEdge is a site that provides hundreds of Blog Posts from educators. 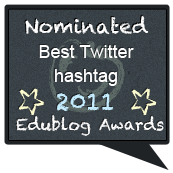 There are also Blog depositories on The Educators PLN, Classroom2.0, and The English Companion to name just a few. 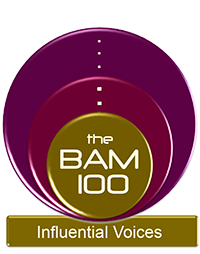 TEACH100 is a site that describes the top education blog sites with a brief description of each. Again the current blog post is a simple click away. As easy as all of this is to find, read, and follow blog posts, it would seem that the vast majority of educators fail to do so. Many posts have view counters on them indicating the number of times each post is viewed. The most popular posts may often have several thousands of views. This sounds like a great number until we consider the several million educators in America alone. 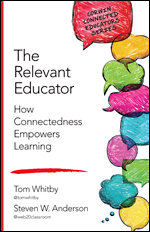 How can a profession of several million educators expect to keep up with the most current thought leadership within their profession if only the tiniest fraction of its members are trying to maintain any relevance? It is great that educators now have the ability to digitally share their voice, but it doesn’t mean much if no one is there to listen. 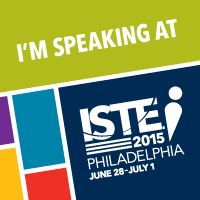 Maybe we need relevant educators to print out posts to share with their colleagues. 20th Century solutions might be what are needed to bring some folks into the 21st Century.